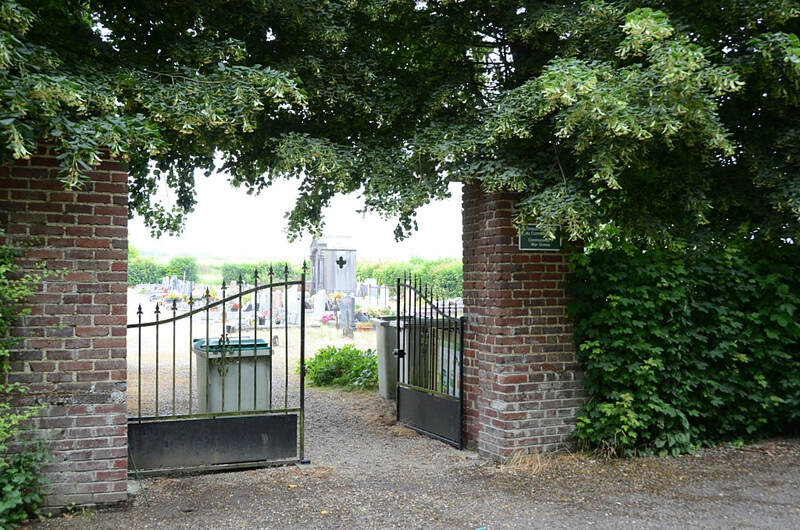 Buire-Courcelles is a commune in the Department of the Somme, about 1.5 kilometres south-west of Tincourt, containing the villages of Buire and Courcelles. 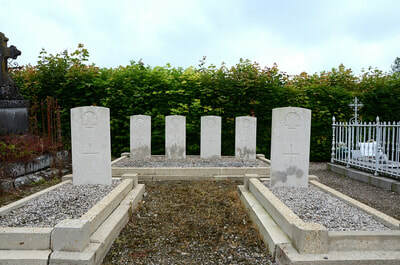 Buire Communal Cemetery contains the Commonwealth war graves of six soldiers from Australia, and two from the United Kingdom, in three groups; Row A is on the west side of the Calvary at the end of the cross-path, and Rows B and C are on the east side at the other end of the cross-path. 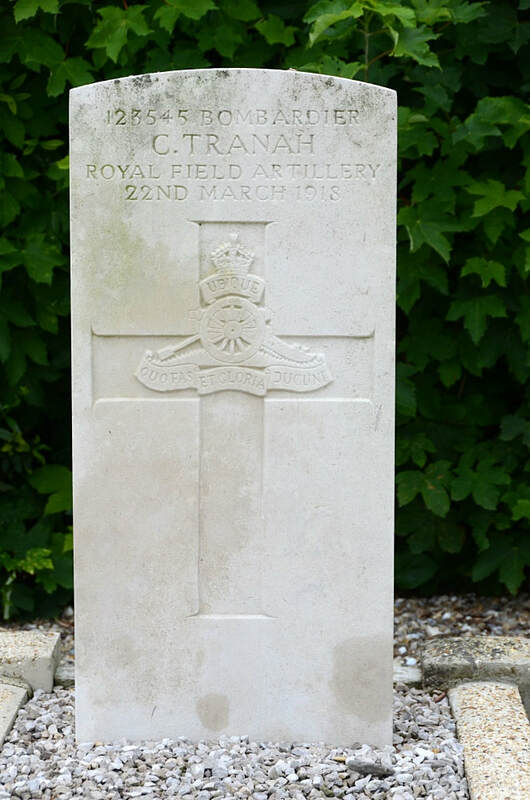 8th September 1918, aged 24. Son of James H. and Sarah A. Rathgeber, of Stawell, Victoria, Australia. 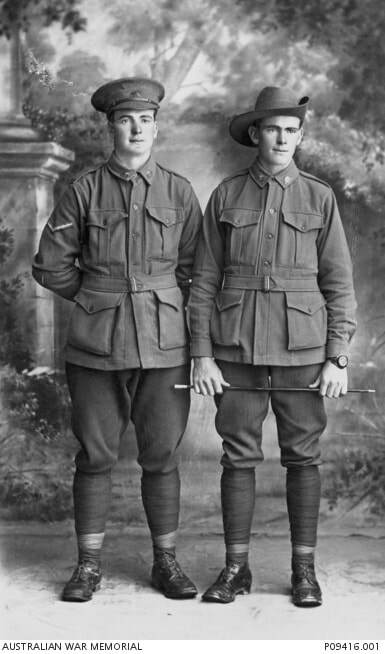 Studio portrait of 212 Private (Pte) James Henry Rathgeber (left) and brother 213 Lance Corporal (L Cpl) Frederick Rathgeber (right). An engine driver from Stawell, Vic, Pte Rathgeber enlisted on 17 January 1916. He embarked, along with his brother L Cpl Rathgeber, aboard HMAT Ascanius (A11) with the 39th Battalion, members of A Company, on 27 May 1916. Pte Rathgeber was killed in action on 8 September 1918, aged 24, and is buried at Buire Communal Cemetery, France. 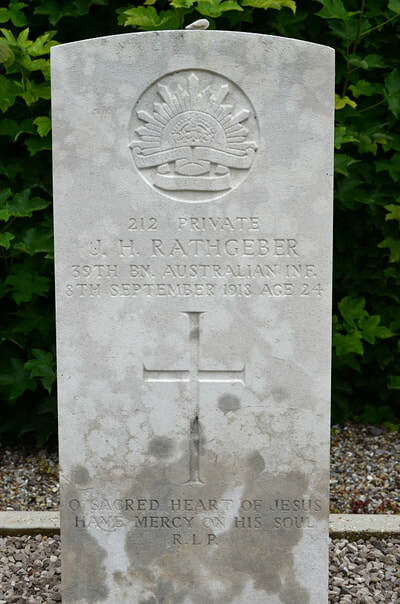 L Cpl Rathgeber was a farmer from Stawell, Vic, prior to enlistment. He spent four years and six months in the Citizen's Military Forces and was promoted to Corporal on 21 August 1916. He was wounded in action on 3 July 1918 and returned to Australia on 23 July 1919. 39501 Serjeant Major W. Clarke, "D" Battery, 86th Brigade, Royal Field Artillery, died 22nd March 1918, aged 27. 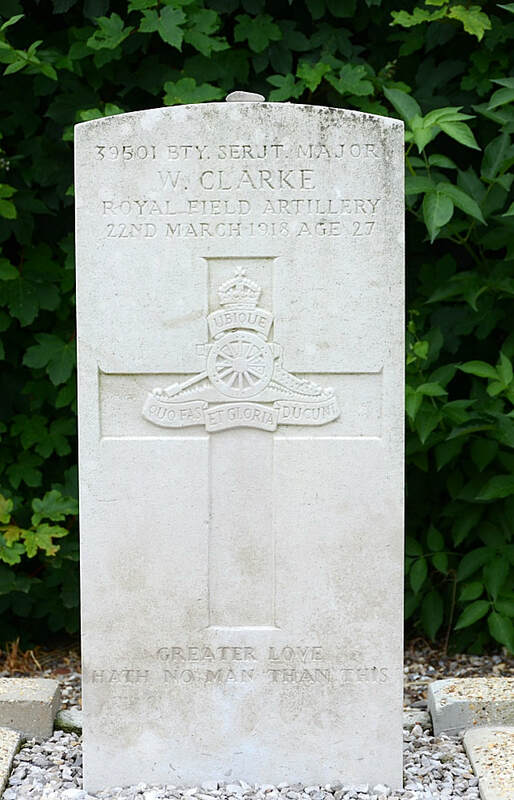 Husband of Violet F. Clarke, of 30, Morris St., Woolwich, London. 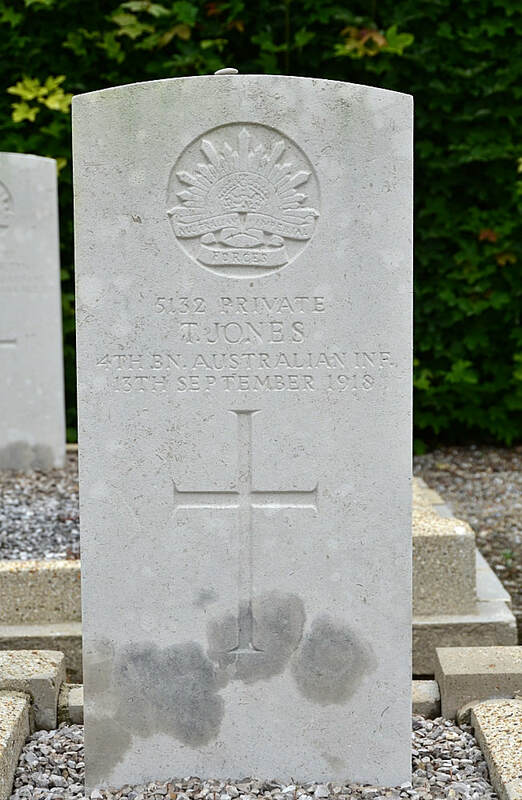 5132 Private T. Jones, 4th Bn. Australian Infantry, A.I.F., died 13th September 1918. 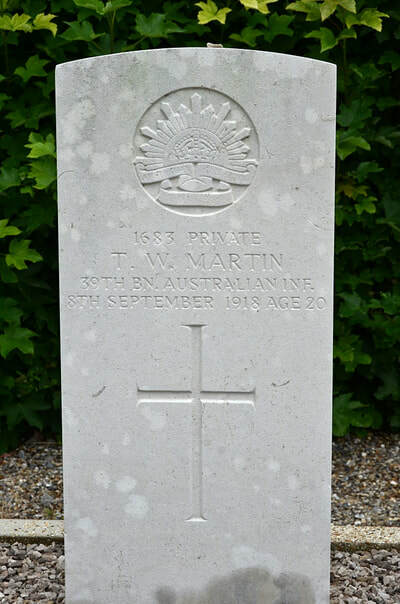 1683 Private Tom William Martin, M. S. M. 39th Bn. 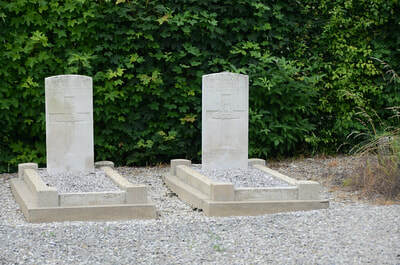 Australian Infantry, A. I. F., died 8th September 1918, aged 20. Croix de Guerre (Belgium). Son of Frederick and Ada J. Martin. Native of Waterloo, New South Wales. Son of William and Mary Elizabeth Matthews. Native of Victoria, Australia. 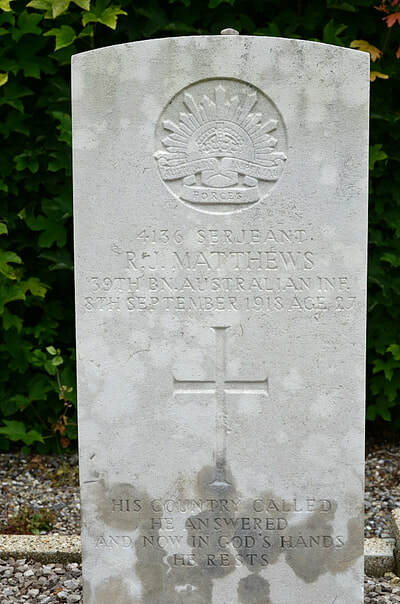 4136 Sergeant Richard John Matthews, 39th Bn. 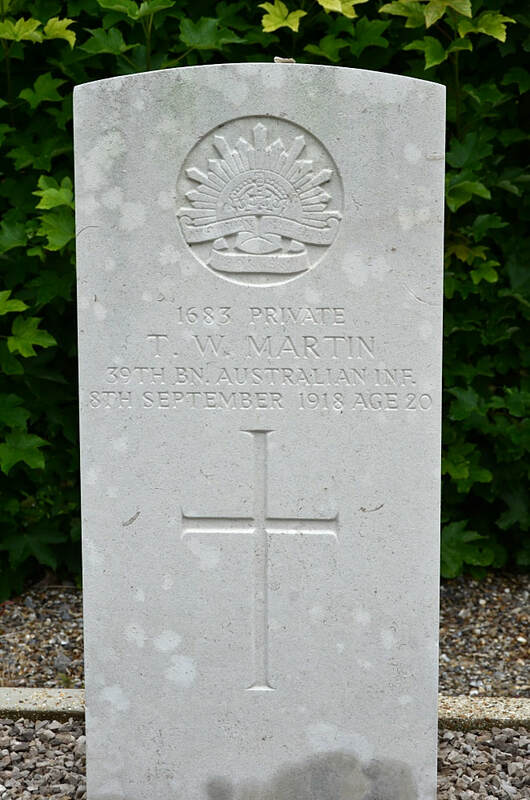 Australian Infantry, A. I. F. Died 8th September 1918, aged 27. Son of William and Mary Elizabeth Matthews. Native of Victoria, Australia. 534 Private Allan John McColl, 39th Bn. 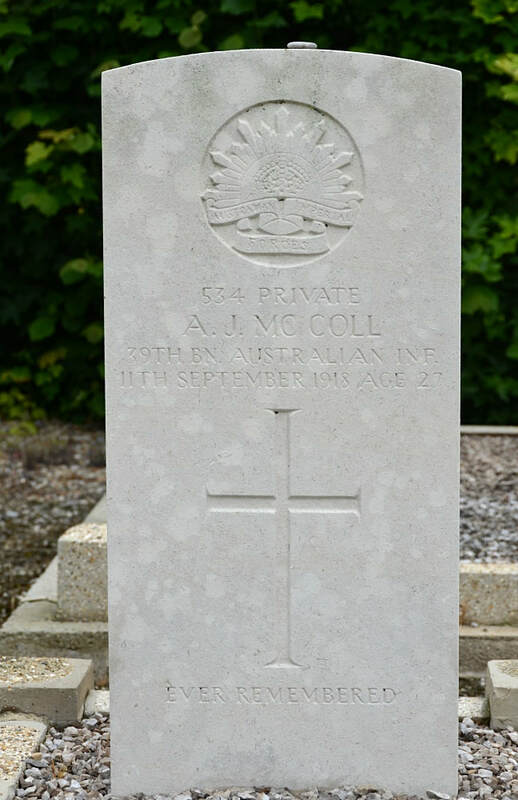 Australian Infantry, A. I. F., died 11th September 1918, aged 27. Son of the late Lachlan and Christina McColl. Native of Wickliffe, Victoria, Australia. 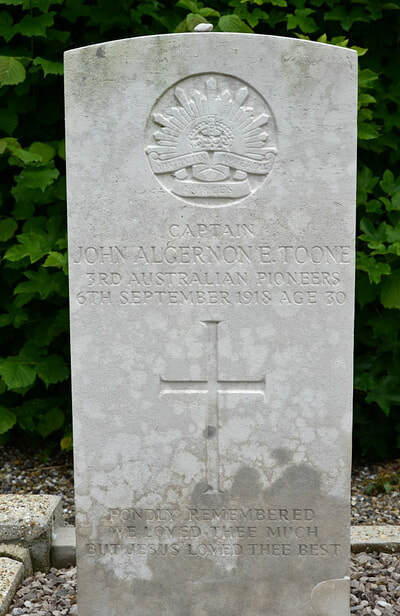 Captain John Algernon Edmund Toone, 3rd Australian Pioneers, died 6th September 1918, aged 30. Son of Edmund and Annie Maria Toone. Native of Lincolnshire, England. 123545 Bombardier C. Tranah, "D" Battery, 86th Brigade, Royal Field Artillery, died 22nd March 1918.